My Mum visited Norway a few years ago and absolutely fell in love with the country. A friend of mine was proposed to at the top of a Norwegian mountain. In fact, everyone I know who’s been can’t stop talking about how great it is. Last year, Norway was even voted the happiest country in the world. I love Europe, and knowing there’s a stunning country just waiting to be explored makes me want to jump on the next plane and get the stamp in my passport. 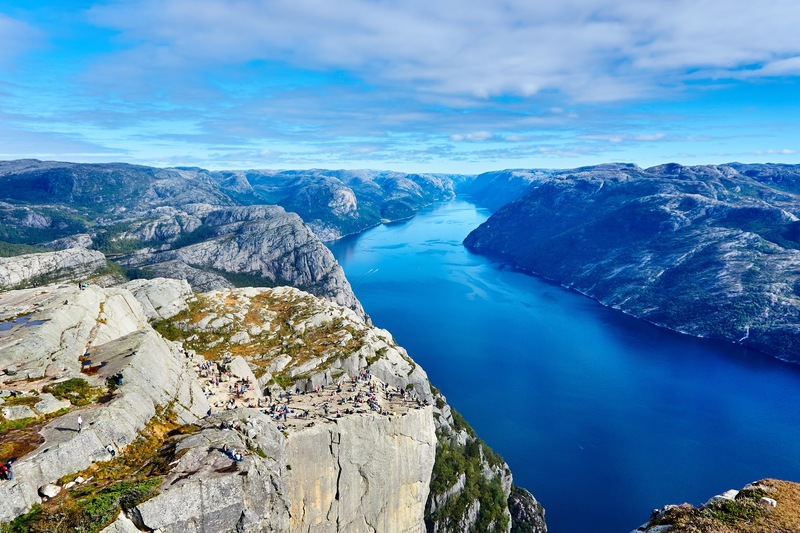 There are fjords everywhere in Norway, created when the ice from the last Ice Age cut through the tall mountains. It is almost impossible to visit Norway as a tourist without seeing a fjord, thats how many there are. Many of them are just begging to be explored through hiking, kayaking, sailing, diving or camping. Read more about the Fjords here. The Northern Lights are a fantastic phenomenon that are accessible in Norway as there are plenty of towns in the north to stay in and go exploring from. The best time to see the dancing lights is from late September to late March. 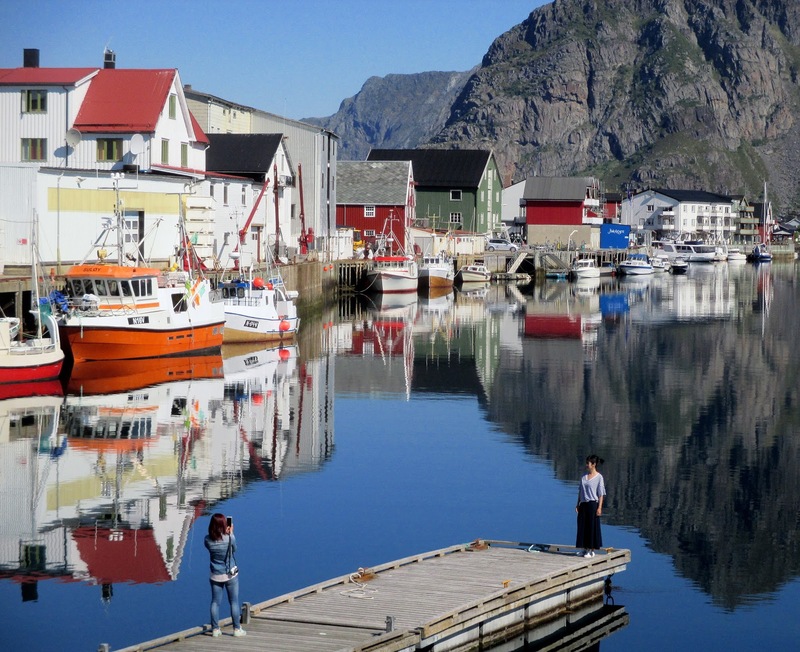 Head to the Lofoten Islands for a spectacular view. Find out more here. Norwegians love the outdoors and often spend the weekend hiking, skiing or on the water. The allemannsrett (freedom to roam law) allows everyone to explore as much as they want and there is nothing quite like the excitement of camping in the middle of nowhere. Find out what other activities Norway offers here. The wildlife in Norway ranges from polar bears in Svalbard to moose, musk oxen, whales, wolves, bears, eagles and massive herds of reindeer. For a nature lover, Norway travel is nothing short of spectacular when it comes to the wildlife. The people are incredibly happy, in fact, some of the happiest in the world. They are grateful people with a great sense of community. The crime rate is incredibly low, so the Norwegian people feel safe. They are also a wealthy nation so economic security isn’t a worry for them. If you are an English speaker, you will find that Norwegians love to practice their English as they have all studied it at school. This makes travelling a total breeze. If you’re anything like me, you’re probably wondering how Norway stays so awesome. Well the best answer to that is to go and find out for ourselves. So when should you book your trip? 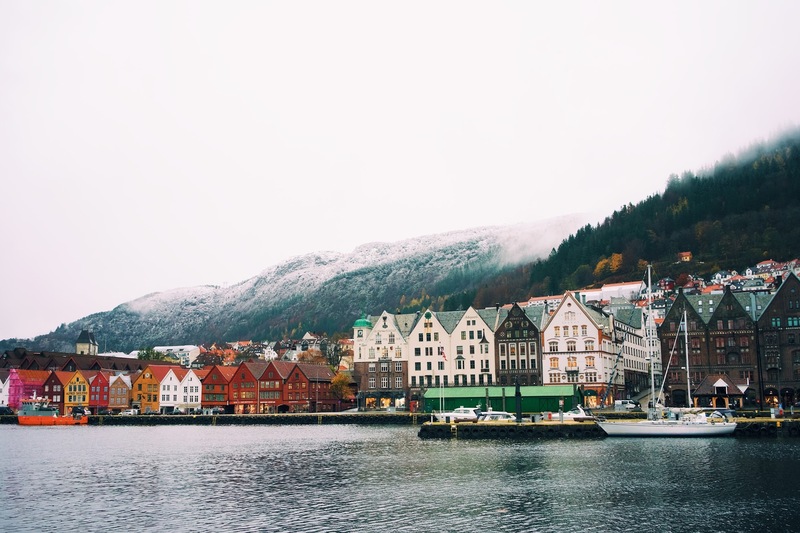 It seems like the best time to visit Norway depends on what you want to do. June -August promise long days and the fabled midnight sun ideal for hiking, cycling or cruising. May and September offer mild temperatures, fewer crowds and gorgeous natural colours. May time also offers springtime blossoms, while August is berry picking season. Winter can be bitterly cold, but dress properly and Norway is a snowy kind of haven. Why not take advantage and embark upon some cross country skiing? The Northern Lights sparkle from September onwards, peaking around December-February. Have you been to Norway? Is it on your bucket list? I went solo camping for a week two summers ago just outside Bergen. loved every minute of it, although it rained 6/7 days! Norway looks amazing. I have always wanted to visit the Fjords, very breathtaking. It’d be great to see the Northern Lights too. It is now on my bucket list … it’s goirgeous, and the photos with your description is just so draw dropping. The whole ethos behind their schooling and everything makes me want to visit! It is easy to see why Norwegians were voted the happiest in the world, with views like that I can’t blame them. The f’jords are absolutely stunning. Now I just need to find time to visit! Sounds like there is a good amount of wildlife I didn’t realise to be honest I really want to see the Northern Lights they must be amazing to see..